This butterfly favours moist areas where the larval host plants grow, guinea grass (Megathrysus maximus – Guinea grass) and blady grass (Imperata cylindrica – Blady grass). Mature larvae 25 mm long with a pale yellowish-green body with a darker green line, body brown with darker bands. 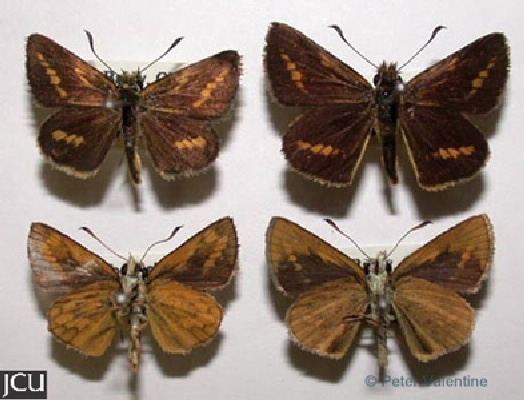 Adults dark brown above with orange markings and pale brownish orange on lower surface.